Please fill out the application form below. Applications are due on or before November 16. 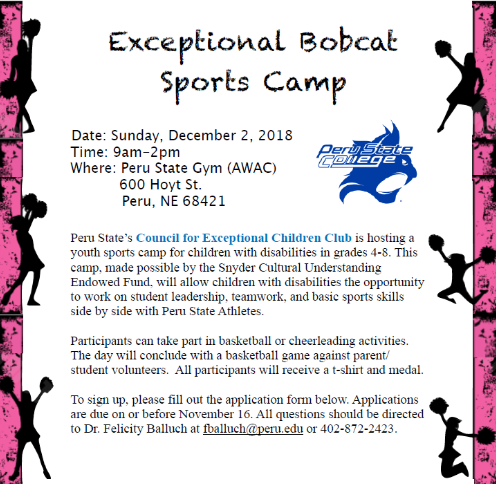 All questions should be directed to Dr. Felicity Balluch at fballuch@peru.edu or 402-872-2423.